I love having perfectly manicured hands, but it doesn’t half get expensive if you continually take a trip to the nail salon. So many nail polishes and at-home solutions don’t really cut the mustard, chipping and flaking within a day or so to leave your hands looking a mess. Nails Inc are aiming to bring a little of their salon solutions into your home with the launch of their new Gel Effect Polishes. Currently available in four classic shades, the polish provides a high shine and super glossy finish without the need for a UV lamp or soaking off – they apply and are removed in the same way as traditional polish, but just provide a superior result. The polish contains the same plumping technology as a salon gel manicure, evening out any imperfections in the nail to leave a seamless finish that you’d otherwise need four or five coats to achieve. Also containing a very high level of colour pigments, application is super easy and leaves no streaking or dragging, whist the super chunky brush makes applying the polish even easier. A strong and beautiful result is possible in only two coats (and a matter of minutes,) making these perfect for big occasions or for when you’re in a bit of a hurry. Although these polishes are not an alternative to a full-on gel manicure (that lasts a number of weeks,) these do last one or two days longer than a normal polish and provide the salon finish we all love so much. I’m a huge fan of the grey shade and have been wearing it pretty much every day for a week, but I can’t wait for Nails Inc to release even more colours for flawless nails every day of the year. 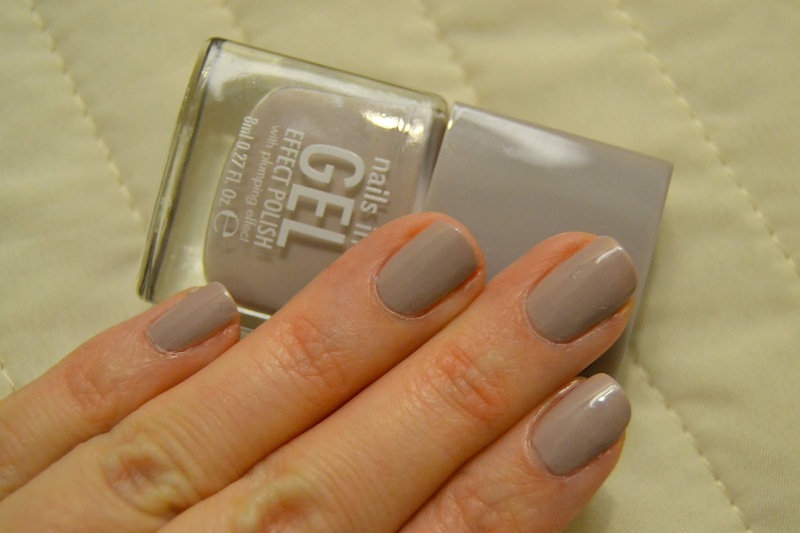 The Gel Effect Polish is available in four shades priced £14.00 each. Available in Nails Inc boutiques or online. Next Post Now Available At Neal’s Yard: Superfoods!